Forensic Mortgage Audits: Another Useless Gimmick for Homeowners? You probably already know that the flurry of mortgage paperwork produced during the mid 2000’s is littered with RESPA (The Real Estate Settlement Procedures Act ) and TILA (Truth In Lending Act) violations. The fact is that many mortgages were written which had no regard for the rules of RESPA and TILA. In addition, mortgages were being written for unqualified borrowers, who would likely end up in default. Some loans even allowed borrowers to completely fabricate their income (stated income loans). Other loans had terms which would cause the mortgage balance to consistently rise (negative amortization loans)! As homeowners began to seek legal remedies to the problems arising from these loans, forensic mortgage audits were born. With mortgages available that almost anyone could obtain, the demand soared. To help them with the overwhelming volume, mortgage brokers were hiring untrained staff to write mortgages. Consequently, many were not sufficiently trained in the procedures necessary to comply with RESPA and TILA laws. Add it up, and you have “predatory” mortgages written with little regard for applicable laws governing mortgage origination. 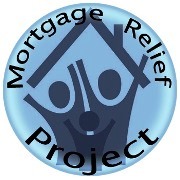 Estimates from numerous credible sources suggest that more than 85% of the mortgage loans written between 2004 and 2008 have some RESPA and/or TILA violations. 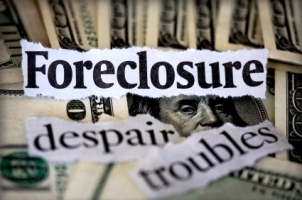 When the mortgage crisis began, attorneys were quick to identify these violations. Using the violations as defenses and legal leverage in negotiations with lenders became standard practice. As a result, some companies began to offer “forensic mortgage audits” to distressed homeowners. It is sold as a tool to be used against their lender in negotiations or lawsuits as a standalone product. Unfortunately, courts have consistently ruled that most of the violations exposed in the “audits” are minor or “technical”. They have deemed the violations insufficient to negate a mortgage, or even provide a defense for payment default. Consequently, lenders have generally scoffed at threats of lawsuits based on RESPA and TILA violations. So, what does this mean to homeowners? Well, unless your “forensic mortgage audit” was conducted by a true expert that is going to be called as an expert witness by the attorney you have hired to sue your lender, it is basically useless. And, even under those ideal conditions, the value of the expert’s findings will be subject of the opinion of a judge as it relates to the totality of your case. In short, as a standalone product, it is nothing more than an expensive gimmick for desperate homeowners that has very little value. As such, the Federal Trade Commission (FTC) and other regulatory agencies have frowned upon the sale of these “audits”, and in some states made them illegal. So, does this mean that all of those legal violations are meaningless? Of course not. The biggest problem with a “forensic mortgage audit” is having it conducted by a qualified auditor. An audit would have to be conducted by an “expert” in every element of the loan origination process for a court to recognize the audit’s legitimacy. A legitimate “forensic mortgage audit” would have to take into account the realtor, the inspections, the appraisals, the mortgage broker’s documents, the lender’s documents, the underwriter’s documents, as well as the loan program guidelines. It would also have to review the title documents from the closing, and the documents recorded after title execution. 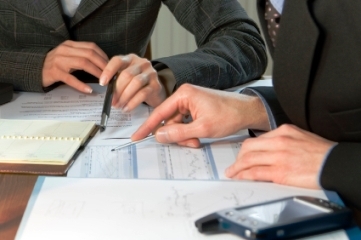 Thereafter, any sale or assignment documents would have to be analyzed as well. So, who is qualified to conduct these forensic mortgage audits requiring so much knowledge and expertise? In our experience, very few people. In conclusion, standalone “forensic mortgage audits” are nothing more than an expensive gimmick for homeowners. The only way such an audit is valuable, is if it the audit is performed by a true expert for the purpose of exposing legal violations which will be included in a lawsuit against a lender, and that expert is qualified to testify as an expert witness in court regarding the audit’s findings. So, if someone offers to sell you a forensic mortgage audit, ask them if the person performing the audit has the credentials to qualify as an expert witness in court, and if that person will actually testify in that capacity. If that person cannot answer “yes” and prove it, you will know they are trying to take your money.